Not far from my home is a wide, flat meadow. A river – lined with houseboats and spanned by a rainbow bridge – winds through it, and cattle and wild ponies graze it. For over a thousand years it has belonged to the people of Oxford, a gift from King Alfred the Great in gratitude for their help defending the kingdom from attack. Instead of being enclosed, ploughed or divided up, it has been shared for the last eleven centuries by the people of the city: those who built the spires and those who studied under them, college cleaners and lecturers, prime ministers, poets, factory workers and shop assistants. My children have grown up going to what they briefly thought was ‘Pork Meadow’ in all seasons – to crack the ice in the puddles and lie in the buttercups and pick blackberries with scratched purple fingers. They lost wellies in the mud there, flew kites and rode bikes, spent hours braiding the ponies’ shaggy manes, and played baseball like only British people can. As teenagers, it's the place they’ve chosen to celebrate the end of exams, with chips on a jetty and wild-swimming with friends. It's where they've lost the dog too many times to count – only to have her presence revealed half a mile away by flocks of birds squawking suddenly into the air. It's where we’ve walked amongst the hawthorn blossom and meadowsweet in long, light summer evenings that seemed like they would never end. The leaves on the meadow are turning yellow and rust red, and starting to fall as the wind gusts. Like the river, time moves on more quietly and quickly than we realise. 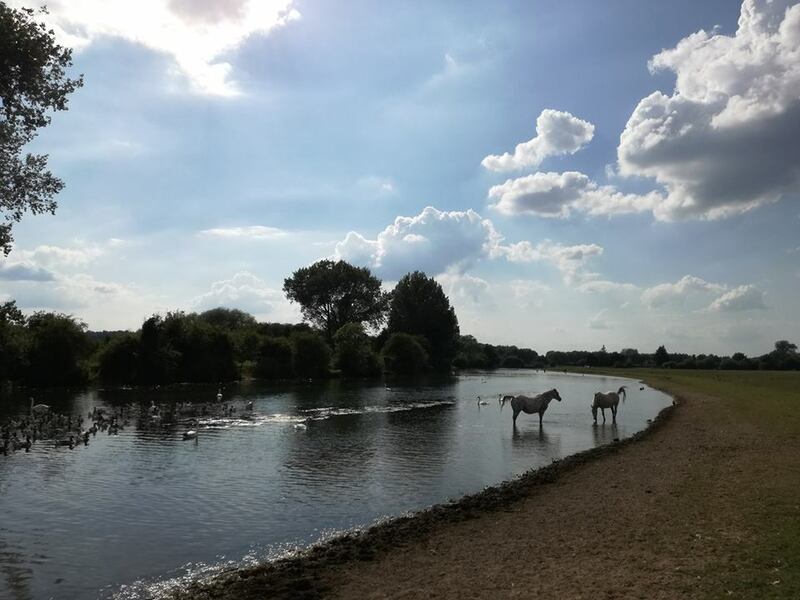 Each visit to Port Meadow reminds me how important it is to be present to the moment in a world full of fleeting and outrageous beauty. It also reminds me that when you love a person or a place, you should do it fiercely and faithfully – and with everything you have.